Fragrances rejuvenate our minds and energize our senses. Perfumes seem to have time travelling propensities as it evoke some past pleasant memories. There seems to be a strong connection between fragrances and memory, don't you agree? Fragrance speaks the loudest on a subliminal level. Hundreds of scents connect us with warm, positive memories such as the smell of rain, mom's freshly baked pie, boyfriend’s cologne on his sweater, the smell of holidays, etc. We easily connect to these memories that make us feel instantly happy and comfortable in return. Perfume can stimulate the conscious mind, and have the ability to modify one's emotional state. These are some of the factors which triggers that buying impulse in women (and men). We are compelled to buy a certain fragrance for an ingredient that somehow finds its way to our heart and brain. Now, there is a new brand in the market that I have been introduced to. JFK Fragrance is an American inspired fragrance company that envisions to be the leader in the personal fragrance market in the next five years. It’s essential oils are sourced from the very best supplier in Europe. Each product is carefully crafted and blended to delight customers. What sets JFK Fragrances apart from its top competition is the higher percentage of essential oils it contains. 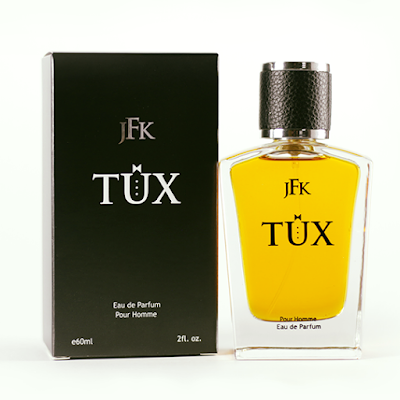 All JFK fragrances fall under EDP-Eau Parfum with 20 percent fragrance oil content imported from France. Hence, they last longer. JFK has 2 scents for women (Enchante and Sophistique) and another 2 for men (Aqua Mist and Tux). JFK Enchante (Charm Your Way) is for the mystical type of woman who is alluring. This scent evokes magical tones that takes one to fairyland. 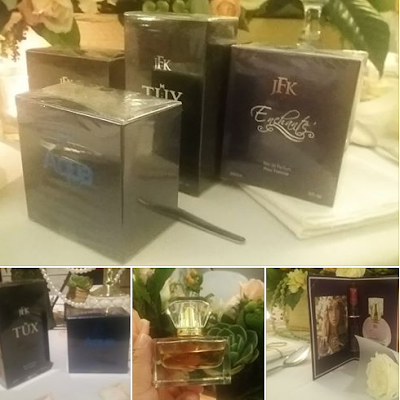 JFK Sophistique (Simply Glamorous) is for the luxurious and distinctively tasteful woman. The aura it creates is romantic to a fault. This Seductive and passionate scent puts on a tenor of power. 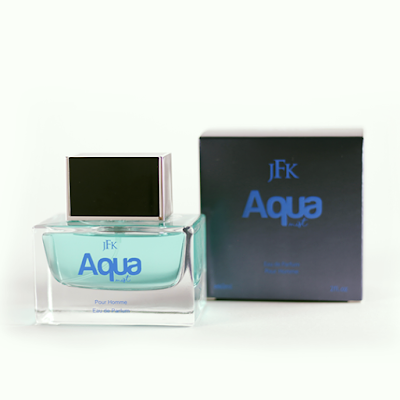 JFK Aqua Mist (Dare To Conquer) is very calm with aquatic notes. It is quite similar to Cool Water -----that reminds one the adventurer in you. This romantic scent drifts you to irresistible sensual encounters. JFK Tux (The Power To Attract) is magnetic and charming it is for the man in control. When sprayed on, it gives a manly yet elegant presence. A fragrance is unique and individual. It reflects the nature and personality of the person, which makes it important to be chosen wisely. Every new scent has a diverse story to tell. And by finding the ones that suit you, you can change the way you smell to match your mood. Scents directly influences our confidence and self-esteem. So choose JFK. Follow https://www.facebook.com to get the latest updates about JFK Fragrances.